For the past four months, I’ve been working with composer and guitarist Michael Elsner to launch a major new endeavor: a major new trailer music series, and this week is its official launch. 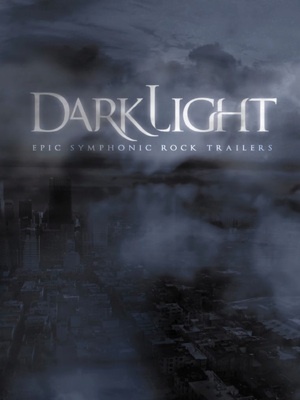 Introducing SonicTremor’s Darklight: Epic Symphonic Rock Trailers. Darklight was created expressly for the demanding world of motion pictures, gaming, and promotional campaigns. It’s geared towards high drama, action, horror, fantasy, and suspense. It combines the world of dramatic orchestral writing that I specialize in with the edgy rock and metal guitar styles that Michael is so comfortable with. The result is sixteen hybrid orchestral rock roller coaster ride trailers filled with tension, suspense, climaxes, drop-offs, impacts, and driving grooves. Darklight is available on both iTunes, Amazon, and CDBaby as an album containing all sixteen trailers plus alternate mixes of each, and a larger collection is available to trailer editors and other video professionals working in the industry by filling out SonicTremor’s Request page. The larger edition contains the same sixteen trailers and alternate mixes, but at higher resolution (48KHz 24-bit) and with more than a hundred separated elements, including drum hits, orchestra hits, drones, drum beds, risers, and more. Our intent is to provide every possible individual element that a trailer editor could ever need when working on a trailer. Each trailer can be licensed for use directly from SonicTremor. Have a listen to each trailer below, buy it at iTunes if you like it, but best of all, let me know if you have any friends who are editors who might enjoy working with the material!